Voting is open this week! You are here: Home / Art & Technology / Voting is open this week! Great news friends! I just found out from Jessica over at The Art of Education that my blog has been selected as one of the finalists to win “Art Ed Blog of the Year!” Very exciting. This is such a great idea, and I’ve already discovered a lot of great new Art Ed Blogs through the nomination page. I need your help to win! Voting is open this whole week from today through Friday the 14th. Could I ask you to take 30 seconds, follow this link, and vote for my blog to win?! All you have to do is click on the name of my blog in the poll, and click vote! It’s that easy. 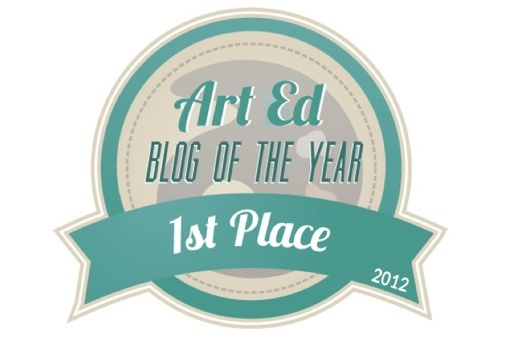 We’ve got the best fans out there, so I’m confident that if you all take just a second to vote, we’ll be promoted to one of the Top 10 Art Ed Blogs of 2012! Thank you Joe! I’m very happy to know your opinion! For me your blog is one of the best! Thank you France! I’m very exciting to have this opportunity, I’m so happy to be in the list of finalists, and to have the support of my friends! 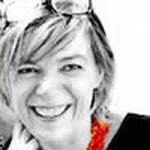 Grazie Martina! Sono già molto contenta di essere tra i finalisti! Credo di essere la prima italiana che viene citata in una competizione così… I’m very proud!